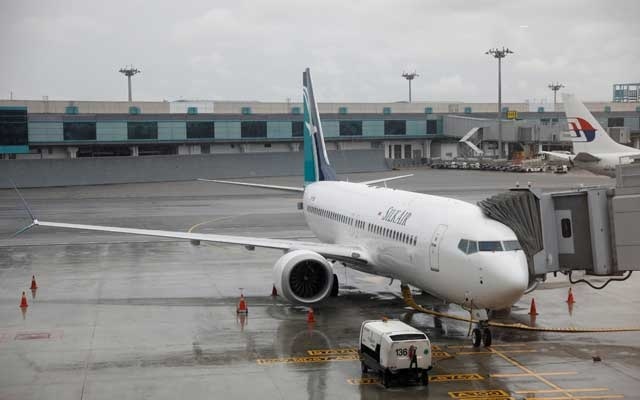 New Delhi: The Narendra Modi government has taken the view that trade tensions with the US shall not influence its regulatory response on use of American aerospace firm Boeing Co.’s 737 Max aircraft after the crash of an Ethiopian Airlines flight on Sunday, said a government official. New Delhi’s decision on whether to disallow use of the aircraft will be based on facts emerging from the investigation into the plane crash as accidents can happen due to a variety of reasons. The move is in sharp contrast to the Chinese government’s abrupt move on Monday to ground about 96 of the Boeing Co.’s 737 Max aircraft. “Grounding nearly 100 aircraft will be a blow to any aircraft maker. China’s action comes in the wake of trade tensions with the US and the criminal charges Washington has pressed against a Chinese telecommunications firm,” said the official, who spoke on condition of anonymity. Both China and India are facing pressure from the US to cut import tariffs. China and the US are at present engaged in talks for a trade deal. Earlier this month, the Trump administration decided to scrap duty benefits on $5.6 billion worth of exports from India by May after trade talks collapsed. India is now weighing its options. For the civil aviation regulator Directorate General of Civil Aviation (DGCA), grounding a specific aircraft has to be based on facts produced by the manufacturer, the investigating agency or its American counterpart, the Federal Aviation Administration (FAA). Late on Monday, the FAA issued a “continued airworthiness notification” to assure operators of the plane that it was safe to fly, news agency Reuters reported. FAA said it was collecting data on the crash and keeping in contact with international civil aviation authorities and would take immediate action if it identified any safety issues, the report said.